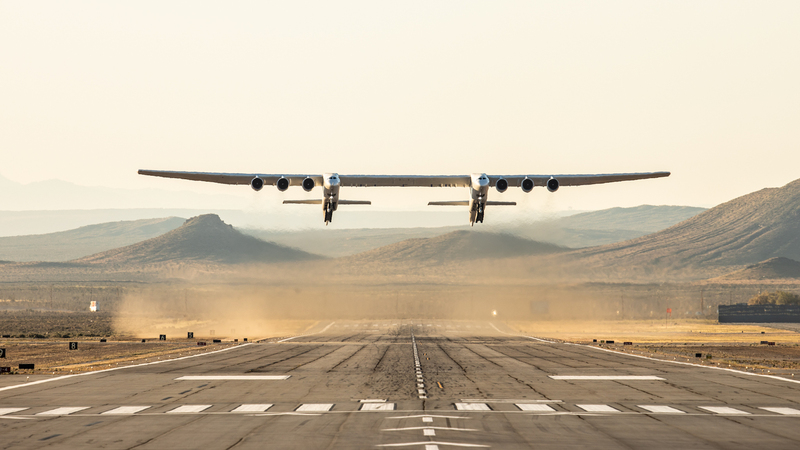 "All of you have been very patient and very tolerant over the years waiting for us to get this big bird off the ground, and we finally did it," Stratolaunch CEO Jean Floyd told reporters on a press call. The company reported the airplane hit speeds of 189mph and heights of 17,000-feet during its 150-minute test flight, before landing safely at the Mojave Air and Space Port. But the day's events were bittersweet. Microsoft cofounder Paul Allen, a longtime space enthusiast who founded and funded the Stratolaunch project, passed away last October at age 65, from complications related to non-Hodgkin's lymphoma. "Even though he wasn't there today, as the plane lifted gracefully from the runway I did whisper a 'thank you' to Paul for allowing me to be a part of this remarkable achievement," Floyd said.